Digital Forsyth | President Harry Truman arriving by airplane for the groundbreaking of Wake Forest College in Winston-Salem, 1951. 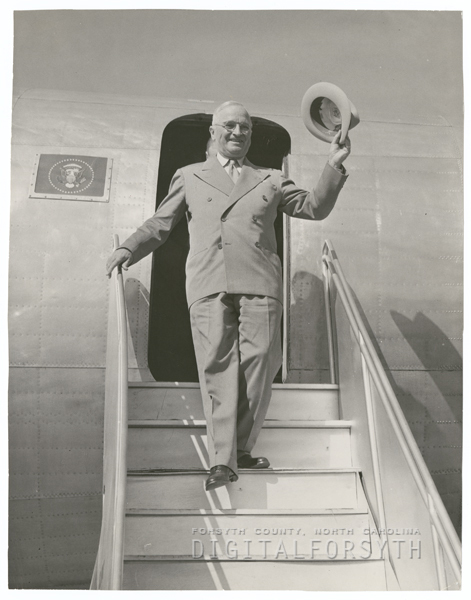 Home › Photos › President Harry Truman arriving by airplane for the groundbreaking of Wake Forest College in Winston-Salem, 1951. President Harry Truman arriving by airplane for the groundbreaking of Wake Forest College in Winston-Salem, 1951.